I have been reminded how lucky we are to have outdoor education as part of The York School programme. Having been away for the past 2 days with the Grade 6s and 7s at Camp Wanakita, I have observed firsthand how learning outdoors nurtures student development with challenges that are difficult to repeat in traditional classrooms. I believe challenge is part of the learning and growth we want in all of our students, and that the salient challenges found in outdoor education are integral to student health. Self care challenges in terms of clothing, nutrition, hydration, hygiene and sleep contribute to decision-making skills. We endured 35 degree heat one day and cooler rainy temperatures another. Students quickly learned that discomfort is a natural consequence for poor decision making and preparation. The outdoors connects students to the natural world and contributes to environmental attitudes and civic behaviours that promote sustainable living. While playing the survival game, students played various roles in the food chain and experienced firsthand the challenges of being low on the food chain. Strategizing survival might mean camouflaging, hiding or banding together to share resources. Physical, emotional and social health is improved outdoors. Whether we’re on the low ropes or high ropes courses, swimming, hiking or canoeing, we are designed to be moving; yet, our regular routines have us more sedentary. Furthermore, face-to-face conversations allow for social and emotional connections that are authentic and in real-time. Being anchored socially and emotionally helps us as individuals to know our place within a community. Have a good weekend with as much ‘outdoors’ as possible! We called and the York School community answered with an outstanding 42 families joining the 1320 Challenge since the beginning of the school year – that’s more than one family per day! Thank you! These new donations add up to a total of $171,000 towards the Fast Forward Campaign, taking a big step closer to our $5 million goal. Thank you to our entire community of supporters for their overwhelming support. Next week will be the last week of the summer uniform. The winter uniform starts on Tuesday, October 10, 2017 – this means no more khaki shorts, navy polos, navy crewneck sweatshirts or running shoes/Sperry footwear. 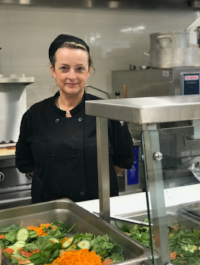 A warm welcome to Karen Shiell, the new Chef at the Middle and Senior School. Karen comes to us from Holy Name of Mary Catholic School and Sterling Hall. What does Karen love most? Slow cooking with aromas. Special thanks to Christian Derblich from the Junior School for all his help this fall! If you are looking for the weekly menu, please visit the ALL SCHOOL CALENDAR where you will also find pricing for Middle & Senior School items. 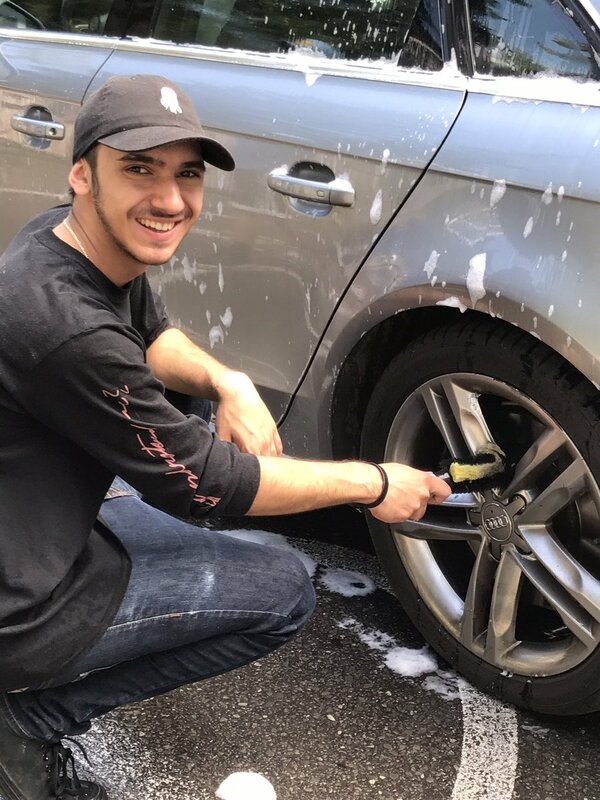 Thank you to all who attended the India Car Wash and bake sale on Saturday. With your help we were able to raise just over $2100. This is a fantastic start to our fundraising for Global Pathways School. In previous years our fundraising dollars went towards new uniforms for all students in the school, iPads in the classrooms, a play structure in the recess yard, to name a few. It means the world to us to have your support – thank you! THE YORK SCHOOL RAPTORS NIGHTS! Join The York School Community at this year's Raptors Nights! Click here for more info and to order your tickets.